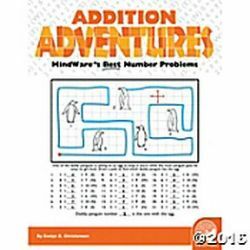 Every puzzle maps out addition practice! Kids will find the fish hiding a valuable coin, help Peter Piper locate his basket of peppers, discover a new star in the cosmos and solve dozens of other mini-mysteries. 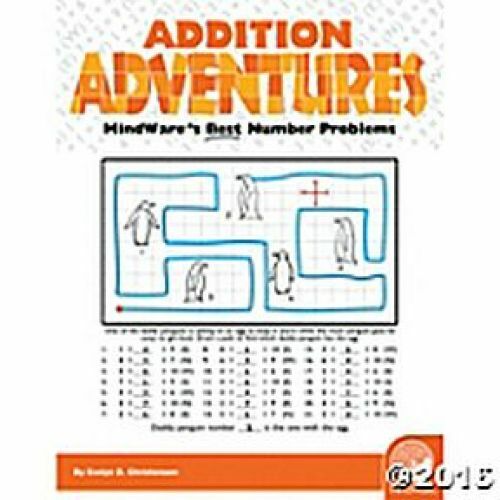 Addition Adventures helps children practice simple addition skills with 21 equations per page, and gain valuable map reading skills as they travel north, south, east and west to find the final answer. This book includes 30 single-page mini-mysteries plus illustrated solutions. Outstanding as a springboard for creative writing and other cross-disciplinary applications. Softcover; 48 pages. Reproducible for single-classroom use.